Naturally, when certain innovations “reset reality,” as Leslie puts it, “our instinct is to hail their creators as godlike visionaries, and their success as somehow inevitable.” But there is more to the equation than genius. For ideas to catch fire, there must be a synergy of the idea, its creator, and its environment. 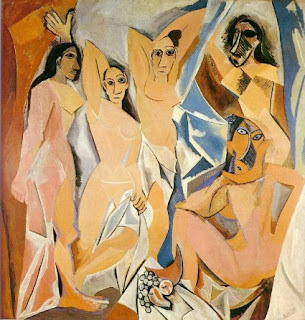 In a recently published paper that examined radical innovation through the lens of art history, French professor Stoyan Sgrouev searched for the reason that “Cubism burst out of its niche and into the mainstream, and did so with extraordinary force and velocity.” Understanding why, says Sgrouev, requires “looking beyond the individual, however gifted, and beyond even the idea itself. Innovators always operate in a market of some kind,” he points out, and therein lies the key to their success or failure. “For radical innovation to succeed,” Leslie concludes, “the moment has to be moving towards the innovator. But the innovator must still reach out and seize the moment.” Or, to paraphrase Sgrouev, the periphery must move toward the core just at the moment the core is moving toward the periphery. If you missed MTV’s annual Video Music Awards show last Sunday night, then you missed all the joy of witnessing the already morally and artistically bankrupt music industry sink to a new degrading low. You may also have missed witnessing the beginning of America’s boredom with and rejection of that bankruptcy. Even if many conservatives, fed-up with the music biz’s hypersexualization of children and its celebration of gangsta culture, happily missed the show and the aftermath, much of the rest of the country didn’t. The news, social media, and water cooler talk in the following days were all dominated by the tragicomic spectacle of former Disney child star Miley Cyrus (now 20) in the unsexiest bikini ever designed, crotch-grinding, tongue-wagging, and “twerking” (you don’t want to know) her anorexic, nearly-naked way through an hallucinatory stage performance featuring dancers with giant teddy bears strapped to their backs. CNN deemed the display important enough to put at the top of its website Monday morning (and was hilariously ridiculed for it by the satirical Onion.com). This is at least partly the reaction that the show’s producers and performers were aiming for, to confirm their “edgy” status (yawn) and to boost ratings. According to The Hollywood Reporter and MTV’s own website, which has Pepsi ads splashed all over it featuring the sad new slogan “Live for Now,” last Sunday’s show garnered a total audience of 10.1 million viewers — a 66-percent increase over last year's show — making it cable’s top-rated entertainment telecast of the year among viewers aged 12-34. It earned a 7.8 rating in the same demographic, a 47-percent increase over last year's show. Of course, that increase was largely due to the centerpiece act – superstar Justin Timberlake and the reunion of his “boy” band ‘N Sync, now in their late 30s – and the Madonna-spawned circus act, Lady Gaga. “The mass of men lead lives of quiet desperation,” Henry Thoreau once wrote, and there was a time when I led such a life. I vividly recall sitting in my office once many years ago, working at a job that had nothing to do with who I was or wanted to be, and suddenly being so overwhelmed by the panicky realization that I was wasting my life, that I had the distinct sensation I was bursting out of my skin. I changed direction after that, but untold numbers of others before and since came to a similar epiphany too late, and passed their remaining days wrestling with regret for a soul-numbing, unfulfilled life. Who among them wouldn’t have jumped at the opportunity to turn back the clock, be free of the trap they built for themselves, and get a fresh start, a second chance? 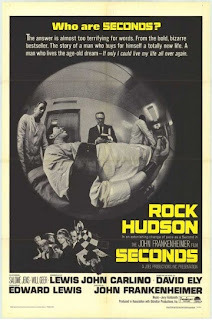 Last Tuesday the Criterion Collection released the DVD and Blu-ray of director John Frankenheimer’s Seconds, a 1966 cautionary tale which spins that yearning into a Twilight Zone-style, existential nightmare. It starred the hunky Rock Hudson, of all people – Hollywood’s beloved leading man at the time, more commonly associated with tame romantic comedies – in perhaps the most daring role of his career (he shared the film’s lead role with familiar, older character actor John Randolph). Kardashian vs. Obama: How Much Success is Too Much? At the end of July, President Obama participated, for some reason, in a “Kindle Singles Interview,” a new interview series for Amazon.com’s e-reader. In the course of discussing the need for increasing government involvement in our lives, lamenting the increasing polarization of American politics (which he personally has exacerbated beyond measure), and whining about increasing Republican resistance to his disastrous agenda, Obama also commented dismissively on the cultural impact of super-rich celebrities – among them the famous-for-being-famous Kim Kardashian. Kim’s mama bear Kris Jenner responded by publicly calling him out for his hypocritical and anti-capitalist jab. So what? Why is a little spat between the President and a reality TV maven important? Because when a celebrity as widely known as Jenner not only doesn’t slavishly heap adulation on Obama, but actually challenges and chides him on her talk show, the cultural impact is potentially huge, and that trickles down to the political. She reaches a wide swath of low-information voters who otherwise might not follow politics at all, or ever hear any criticism of the President in the left-leaning cultural realm. The fact that Jenner’s audience cheered in support of her defense of her daughter against Obama is revealing and significant. However, that having been said, if any of those young people work hard to achieve that level of financial success, they have every right to live any way they choose and spend their money as they see fit. 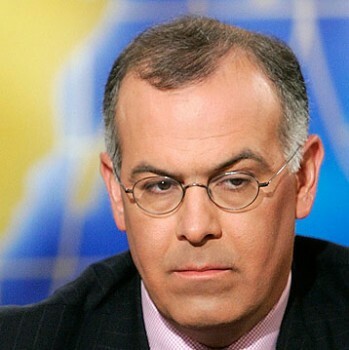 In his op-ed column “The Nudge Debate” in last Thursday’s New York Times, David Brooks promotes a concept that is gathering momentum among the leftist elites in, and connected to, the White House: “nudging,” a seemingly innocuous form of social engineering designed to steer us lazy, infantile Americans subtly toward making the “correct” choices in our personal and social lives. He calls it “social paternalism”; think of it as a kinder, gentler totalitarianism. Nudging first appeared on the scene in 2009 with a book by Richard Thaler and Harvard law professor Cass Sunstein called Nudge, on “how government and other organizations could induce people to avoid common errors.” As Brooks explains it, those errors result from the fact that “people are pretty bad at sacrificing short-term pleasure for long-term benefit. We’re bad at calculating risk. 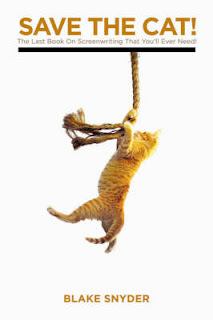 We’re mentally lazy.” We make bad decisions unless “we’re forced to put in a little more mental effort.” In other words, we all have “a little Homer Simpson in us,” says Sunstein, and once people realize that, “then there's a lot that can be done to manipulate them” – to nudge them. Sunstein was an official advisor to President Obama and happens to be the husband of the influential Samantha Power, who is off to the United Nations now as our new ambassador there, where she will carry out her (and her boss’) subversive agenda to surrender American sovereignty. Sunstein, who once wrote that “there is no liberty without dependency,” is the author of another book which argues that citizens’ rights exist only to the extent that they are granted by the government. Last year, he gave a lecture at Yale on the topic of nudging and has a book forthcoming in 2014 called – with apparent seriousness – Nanny Statecraft. 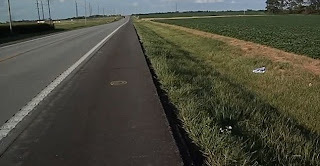 A miraculous story has been making the rounds on the internet about the “angel priest” who witnesses say mysteriously appeared at the scene of a Missouri car accident a week ago, prayed with the young victim, and then disappeared without a trace. The supernatural element may seem silly to some, but it speaks to a quintessentially human need. After a head-on collision, authorities spent nearly an hour trying to cut the seriously injured Katie Lentz out of her car, but the tools weren’t sufficient and she was running out of time. Lentz asked the rescuers to pray with her. Then a priest appeared from somewhere, although emergency responders had blocked off the highway. He anointed Lentz and her rescuers with oil, prayed with them and brought calm to the scene. The fire department arrived and was able to free Lentz – but the priest vanished, and he does not appear in any of eighty photos from the accident scene. Pop culture-saturated as I am, I was immediately reminded of similar scenes from two movies. In 1997’s The Apostle, starring Robert Duvall in a brilliant performance as a disgraced Southern preacher who earns redemption, he comes across a car accident on a rural road. With an ambulance coming, Duvall makes his way through tall grass to the flipped car and its occupants, a young couple. The wife seems peacefully asleep, or more likely dead; the husband is conscious but barely hanging on. Duvall lays his Bible on the car hood and reaches in to lay the wife’s bloodied hand on her husband’s. He leans in close to the young man and offers salvation in the name of Jesus Christ. Amid all the manufactured melodrama, the Machiavellian alliances, the transparently sham romances, the needy narcissism of erstwhile celebrities, and the endless succession of forgettable idol-wannabes, it’s refreshing to find a pair of reality TV competition shows that not only celebrate extraordinary skill, but also highlight good sportsmanship and the drive for personal excellence – American Ninja Warrior and Top Shot All-Stars, both now in their fifth season. American Ninja Warrior is the flashier, bigger-budget American version of a Japanese TV show in which contestants run what is described as the most challenging obstacle course ever. Only three ever succeeded in conquering the course in the original show, and no one yet has gone all the way in the American version. 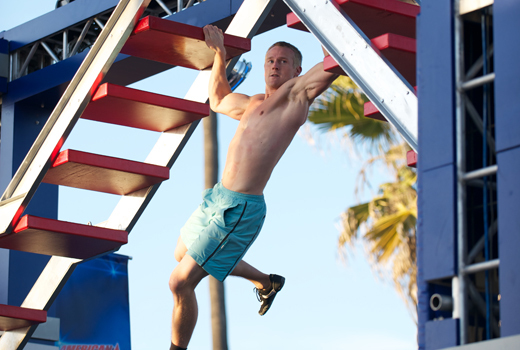 Among its extraordinarily demanding tasks: contestants hanging by a bar must use it to haul themselves up a “salmon ladder,” jump by jump; they must swing from pair to pair of nunchuks suspended over water; cross a lengthy narrow ledge with only their fingertips; run up the daunting, 14-foot “warped wall”; and overcome other obstacles with names like Jumping Spider, Prism Tilt, Rumbling Dice, and Body Prop. The course requires heavy doses of agility, flexibility, grip strength, and perhaps most importantly, superhuman mental discipline. Apart from the astounding physical demands, another attraction of the show is the variety of the competitors – from soccer moms to firemen, from students to the middle-aged (the oldest is 67) – and their motivations, many of which are powerful and touching. One was a former gang member, shot multiple times and lying in the hospital for six months saying, “If I survive this, I’m going to run American Ninja Warrior.” Another was a Cambodian man who as a child escaped a death camp that claimed the rest of his family; he choked up with emotion as he described how lucky he feels to be in America, the land of opportunity. Many do it to inspire their children, or to honor the memory of a lost loved one. There is, of course, the incentive of a whopping $500,000 cash prize, but it seems more important to these contestants to strive for some deeply personal goal and to earn the title of the first American Ninja Warrior. 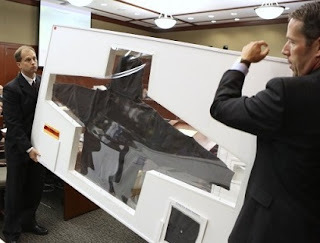 Just when you think the left can’t possibly get more unhinged about the shooting of black Trayvon Martin, the next step in his beatification is getting underway: the hoodie he died in may be acquired for the Smithsonian Institution. This not only will imbue it with an historical civil rights significance which it has not earned, but will practically accord it the status of a religious relic. The Washington Post reported last week that Lonnie Bunch, director of the Smithsonian’s National Museum of African American History and Culture (NMAAHC, now under construction and expected to open in 2015), wants to add the hoodie to a collection that includes a guard tower from Louisiana’s Angola State Penitentiary and the handcuffs used to restrain President Obama’s buddy, radical academic Henry Louis Gates Jr., in a 2009 incident which Obama himself blew up into a racial flashpoint. You may recall that, like with the Martin shooting, Obama chose to weigh in officially on this incident that should have been far below the concerns of a President of the United States. He needlessly inflamed racial tensions when he stated incorrectly that the police acted “stupidly” in arresting Gates, who also milked the incident for all the racial mileage he could get. When Does a Prank Cross the Line? 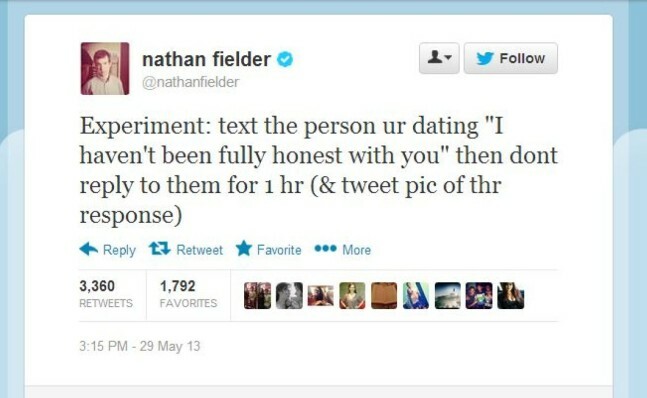 Last month Nathan Fielder of Comedy Central's Nathan For You stirred up a little controversy online when he urged his younger Twitter followers to “accidentally” send a text to their parents that appeared to be part of a drug deal, and then post the parent’s reaction online. You can imagine how calmly the punked parents responded to that stunt. Last week Fielder upped the ante with a similar but even more disturbing prank. Fielder tweeted: “Experiment: text the person ur dating “I haven't been fully honest with you” then dont reply to them for 1 hr (& tweet pic of thr response)” – in other words, toy with your loved one’s emotions and share their ensuing hysteria with the world. This “experiment” had an even uglier impact than the previous one. As you would expect, many of the prank’s victims freaked out, fearing that the relationship was over or that their partner was cheating. One victim wondered if the texter was secretly married. Another wrote back, “I just hope you used a condom and didn’t put me at risk.” Another, after the prank was revealed, disturbingly texted, “I was afraid you were gonna tell me you were out getting an abortion.” One young man who pranked his partner replied to Fielder, “thought it’d be funny but now I completely regret it. Two years down the drain.” Well, if your idea of fun was pulling this on someone you were that serious about, then you deserved to lose her. Another prankster texted, “I felt so bad but I couldn’t stop laughing what is wrong with me?? ?” Good question. Successful relationship stories seem rather rare in Los Angeles, which is notoriously hellish for singles seeking soulmates. Recently my friend, Acculturated colleague, and fellow Angeleno R.J. Moeller wrote a piece entitled “From Hashtags to Holy Matrimony” about how he found his future bride on Twitter, of all places. So I was inspired to contribute my own L.A. story of serendipitous love to give others in this town (and elsewhere) a ray of hope. I was in a relationship when I moved here in 1998, but it fizzled out, leaving me to navigate the treacherous waters of single life in L.A. That may not sound like a bad thing; and it’s not, if your idea of dating bliss is an empty succession of beautiful people who have zero capacity for caring about anyone or anything but themselves. Very unsatisfying, however, for a monogamist-at-heart like me. 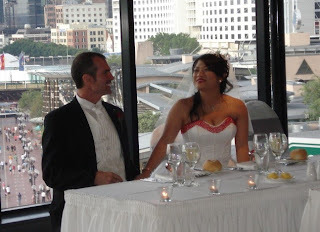 I was beginning to despair of making a love connection when one day in late October 2002 I placed a long-distance call to a company in Sydney, Australia and dialed the wrong number. To be precise, I dialed the correct company but reached the wrong extension, and a young woman answered. Her voice immediately took my breath away. Later Anna would say that she heard me pause and she knew I’d been “struck by the thunderbolt,” as Michael Corleone is in The Godfather when he first glimpses the Sicilian beauty who would become his wife. It was love at first listen. I was so captivated that I immediately began flirting from the other side of the planet, sight unseen – which I would not ordinarily recommend, having had a couple of awkward surprises doing so in the past. But I got lucky, because as I later discovered when we began trading pictures (not like the ones Carlos Danger and Sydney Leathers exchanged), she was as attractive as her voice was compelling. Anna and I began emailing and phoning each other literally every day, several times a day. On the surface, we didn’t seem compatible: she’s a generation younger, our life experiences and education were very different – and she was half a planet away. Why bother? I bothered because we clicked, and because instinctively I sensed there was something lasting and important here. Is This Really Going to Ruin Hollywood? Though no one remembers him or his show anymore, former MSNBC attack dog Keith Olbermann used to have a segment on Countdown with Keith Olbermann called “The Worst Person in the World,” a label he awarded to figures like his Fox News nemesis Bill O’Reilly or such formidable political threats as then-teenager Bristol Palin. It’s time we resurrect that label and award it this week to Bob Beckel. 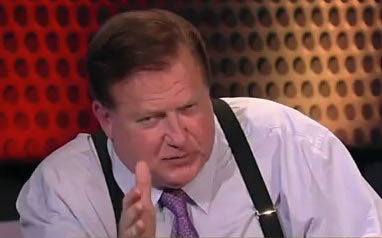 Beckel is the left-leaning co-host for the Fox News show The Five. He’s easy to recognize among the other four personalities on that show: he’s the one in suspenders whose mumbling becomes clearly understood only when he accidentally drops F-bombs on-air. Beckel fired back irrelevantly that “blacks don’t just live in Harlem. There are blacks all across this country.” Nobody said otherwise, Bob; no one said all blacks were inner city criminals. Beckel’s straw man attack is typical of the left’s kneejerk response to inconvenient truths on race; they regard any suggestion that blacks bear any responsibility for their own issues or for racial tensions as a sweeping, racist smear of all blacks. That’s why discussions of race in America never get past the starting gate – no criticism of blacks allowed. Eric Holder despicably called Americans cowards on the issue of race, but the cowards are the ones like Holder and Beckel, who don’t want a truthful discussion. They don’t want to talk about black racism (in fact, notice how they have successfully defined “racism” to mean “white racism”?). They don’t want to talk about the fact that blacks aren’t being massacred by whites but by other blacks. They don’t want to talk about instances of horrific black-on-white violence far more shocking than the Zimmerman case. They don’t want to talk about black gangs and a “gangsta” culture glamorized by the biggest stars in the entertainment industry. They don’t want to talk about the New Black Panther Party emboldened under the protection of Holder. They don’t want to talk about the fact that racial division is nearing an historical peak under the Great Racial Healer, Barack Obama. They don’t want a discussion at all. The race-obsessed left just wants whites to sign up for white privilege workshops and offer reparations. Mark is the Journalism Fellow on Popular Culture at the David Horowitz Freedom Center. He has written about the intersection of culture and politics for Acculturated, FrontPage Magazine, New English Review, The Federalist, The New Criterion, and other sites. He has made television appearances on CNN, Glenn Beck and elsewhere, as well as many radio and public appearances. Mark has worked on numerous films including co-writing the award-winning documentary “Jihad in America: The Grand Deception.” He is currently adapting a book for the big screen and writing one of his own for Templeton Press.